Just 483 years ago the first man stepped onto the Galápagos Islands and marveled at this living laboratory. Today we continue to be awestruck by this constantly changing archipelago. As the Nazca Plate moves and new islands are formed, evolution is illustrated up close and personal. Visiting the Galápagos archipelago is a dream for all naturalists. 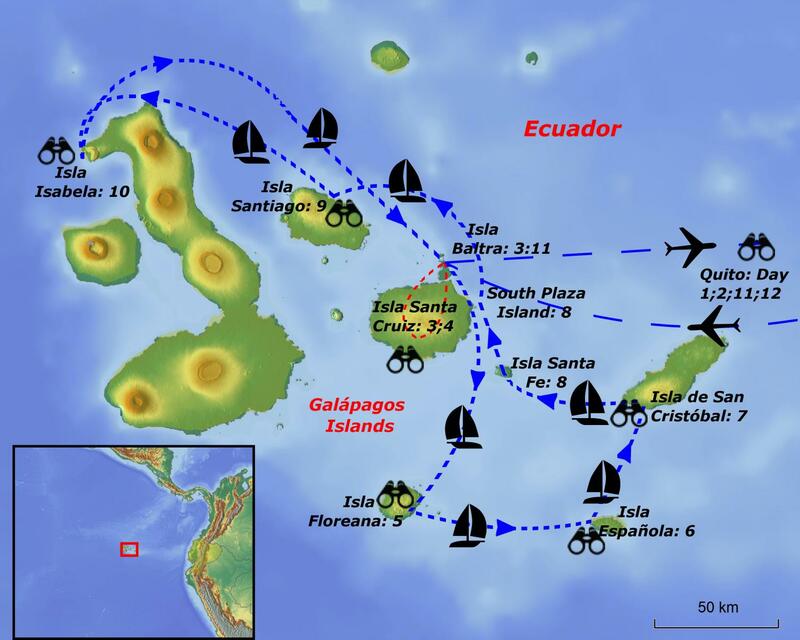 From Quito we will fly to the island of Baltra. We then will make our way to our home for the next eight days, the Samba, a spacious and luxuriously-designed motor sailing yacht with wide open and shaded sun decks, a fully stocked bar, and a library. The abundant marine life that visits these waters year-round, the Marine Iguanas that rule the rocky coastlines, and of course a unique group of birds make it easy to understand why this trip is a must for birders and natural history buffs. 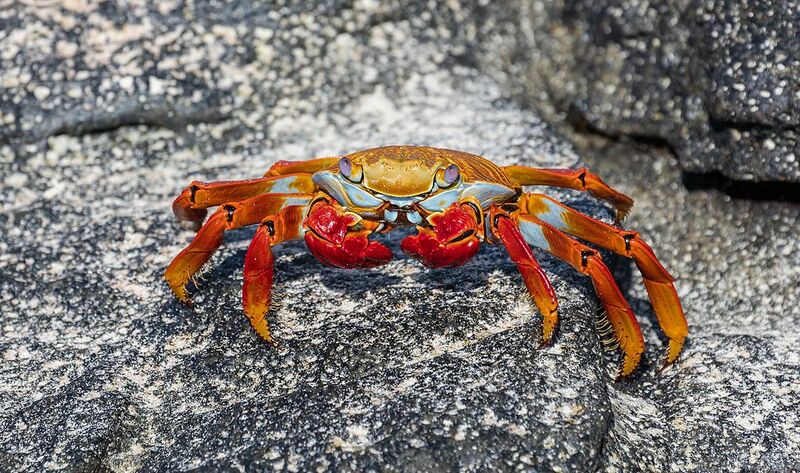 Some of the Galápagos specials that we hope to find on this trip include Galapagos Penguin, Waved Albatross, Galapagos Shearwater, Wedge-rumped and Elliot’s Storm Petrels, Magnificent Frigatebird, Nazca, Red-footed, and Blue-footed Boobies, Lava Heron, Galapagos Hawk, Lava Gull, Galapagos Martin, Galapagos Flycatcher, Vermilion Flycatcher, Galapagos, Floreana, San Cristobal, and Espanola Mockingbirds, Vegetarian Finch, Woodpecker Finch, Common Cactus Finch, Green Warbler-Finch, Large and Small Tree Finches, Small and Medium Ground Finches, and Mangrove Finch. 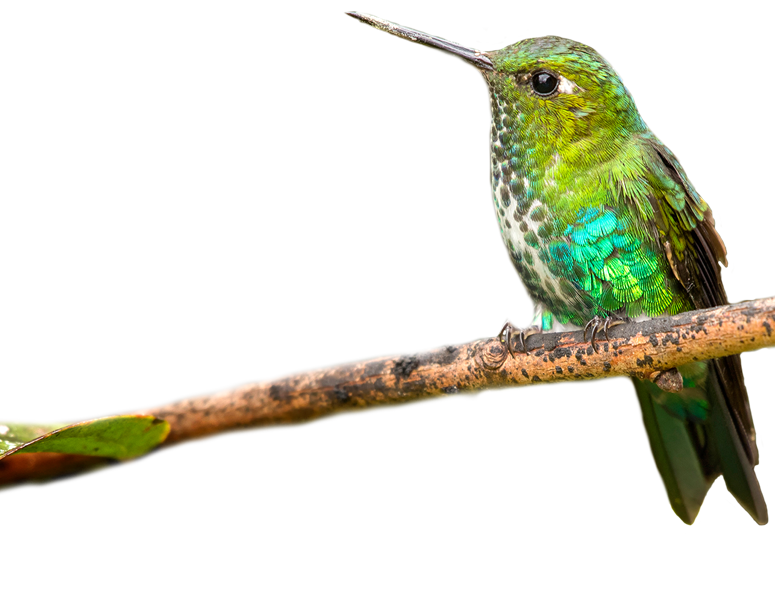 This tour can be combined with our preceding Northern Ecuador: Birding Paradise tour, which in turn is preceded by our Ecuador: The Amazon tour. After arriving at Mariscal Sucre International Airport in Quito you will be met by your guide and transferred to your hotel. This buffer day allows a little wiggle room for late flights. Today we will spend the day in Quito visiting the Botanical Gardens with lunch at Itchimbia Park and a walk around the Old Town. On arrival at Seymour Airport on the island of Baltra all visitors pay their entrance fee to the Galapagos National Park. After picking up our luggage we will be checked by the quarantine system. After clearing quarantine Samba’s naturalist, Juan, will be there to greet us, explain the plans for the day, and answer any questions. 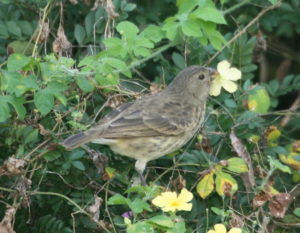 As we head out of the airport terminal we should be able to spot our first endemics, Medium and Small Ground Finches. 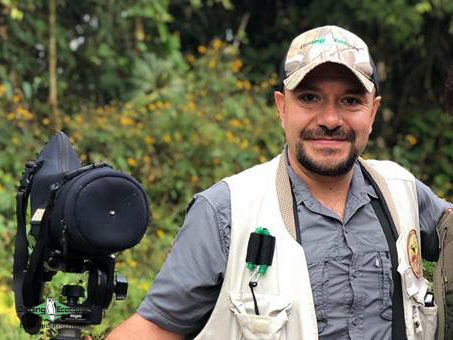 We will be on the lookout for Vegetarian Finch, Woodpecker Finch, and Green Warbler-Finch, as well as Large and Small Tree Finches. We will then travel to the south end of the island (a 15-minute ride) and cross the Itabaca Channel on a small ferry (barge) to dock on the north coast of Santa Cruz. Our driver for the day will be waiting to pick us up so we can begin to explore the island. To get to the Highlands of Santa Cruz at 1800 feet (550 meters) we will pass through several habitats and agricultural land before we start to get into the remnants of a Galápagos mature forest. We soon come to the extraordinary geological formations “Los Gemelos” (Twin Craters), which are crater-like formations that were not created by impact but by tectonic shifts and erosion that caused empty magma chambers to collapse, forming sinkholes. The Scalesia forest that lines the formations is laden with bromeliads, orchids, mosses, lichens, and many birds, such as Vermilion Flycatcher, Short-eared Owl, Galapagos Dove, Galapagos Mockingbird, Galapagos Flycatcher, American Yellow Warbler, and several of Darwin’s finches, including Small Ground Finch, Woodpecker Finch, Green Warbler-Finch, Vegetarian Finch, Woodpecker Finch, and Medium Ground Finch. 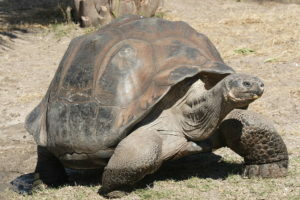 In the afternoon we will stop for lunch near the Giant Tortoise Reserve and hang out with these incredible creatures. It is strongly recommended to wear appropriate gear for this visit to the highlands. Because the area is under constant influence of moisture it is likely to be muddy and humid. Pants, proper shoe wear, and a rain jacket are a must. American Yellow Warbler, Galapagos Crake, and Paint-billed Crake could make an appearance around the El Chato pond. 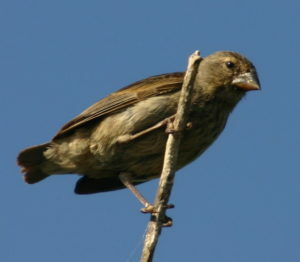 In the late afternoon we will make our way down to the coast and the town of Puerto Ayora, which is surrounded by cacti, which the Common Cactus Finch favors. This morning we will once more explore the Highlands of Santa Cruz. After passing Bellavista we will take the North Trail to Media Luna, a volcanic crater that is similar in shape to a crescent moon. Right away the scenery changes as we move through disturbed agricultural lands to large expanses of the endemic Miconia plants and then into an area sheltered by the Galápagos fern trees and surrounded by lichens, mosses, bromeliads, and orchids. 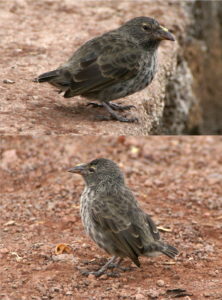 Galapagos Martin often can be spotted in this area. Along the walls of the crater Galapagos Petrel nests – this is one of its largest colonies. We need to keep our eyes peeled for the ever-so-timid Galapagos Crake. 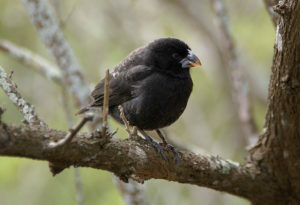 This is also a great habitat for Large Tree Finch, Woodpecker Finch, Vegetarian Finch, and Green Warbler-Finch. In the afternoon we will make our way to the Charles Darwin Research Station. Here we will have the opportunity to learn about the archipelago’s climate and geography as well as how various factors influenced the evolution of species on the islands. After a quick scan for any more finches we will again board the Samba. Following a four-hour navigation from Puerto Ayora we will arrive at dawn at the distinctive volcanic cones of Floreana Island.  We will make a wet landing on a green-crystal beach made from volcanic olivine (the name of a group of rock-forming minerals, typically found in mafic and ultramafic igneous rocks and green in color). 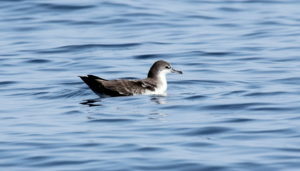 Another Galápagos endemic nests here, Galapagos Petrel. Punta Cormorant is located on the northern shore of Floreana. Around the brackish lagoon we can expect to find American Flamingo, White-cheeked Pintail, Whimbrel, Striated Heron, and Brown Noddy, while other shore- and migratory species are also likely to be encountered. On the other side Green Turtles use every corner of a white sand beach to lay their eggs. In this area you often see stingrays and reef sharks from the shore. Around mid-morning we will take a dinghy for a 25-minute journey and have the option to snorkel at Champion Islet. This small piece of land is one of two places where the rare Floreana Mockingbird thrives, as well as Medium Tree Finch, due to the lack of invasive predators such as feral cats that still roam the main island. Other species we can expect here include Common Cactus Finch, Swallow–tailed Gull, Magnificent Frigatebird, and Red-billed Tropicbird. The beautiful landscape of cactus and terracotta rock formations seems almost unreal or dreamlike. 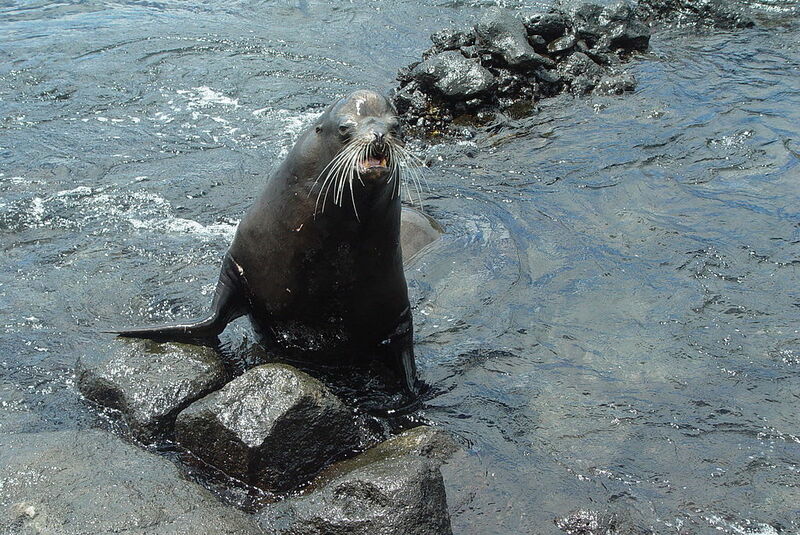 Galápagos Sea Lions often enjoy playing in the waters in this area as well. The snorkeling around the island is extraordinary. In the afternoon we will stop at Post Office Bay. This former whaling hub was built in 1973 and is well known for being the first post office on the Galápagos. The original system is still working; you can deposit your letter at the office and those heading back to the mainland can stop by and pick up letters that are close to their destination, preferably hand-delivered. Later we will take our kayaks and/or zodiacs and head west through a small series of islets and mangroves with a large sea lion colony close by. We will land near Baroness Lookout, named for a Viennese self-proclaimed baroness that lived here in the 1930s. On top of this eroded volcanic cone we will have the opportunity to envisage what this former whaling hub must have been like during that time. Dark-billed Cuckoo and Galapagos Flycatcher can often be seen from up here. After a quick scan for any seabirds and finches we will make our way back to the Samba for the night. 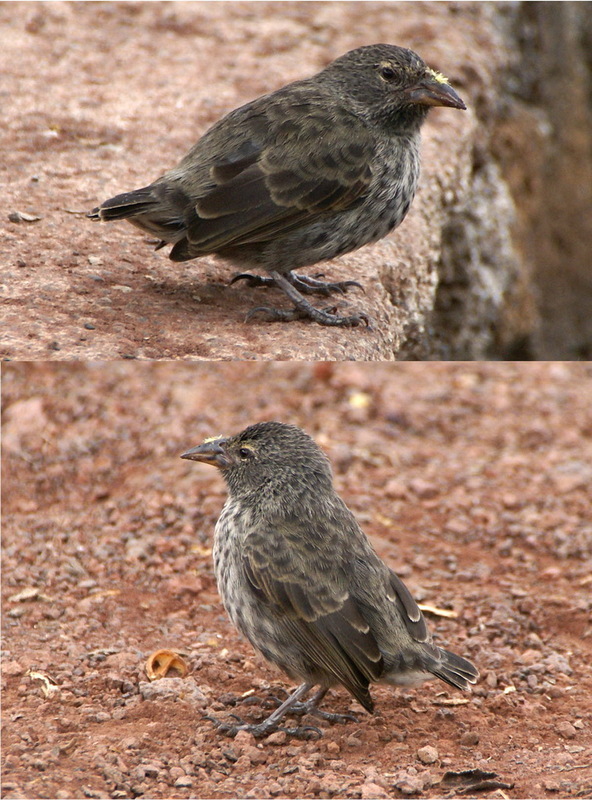 Española is one of the oldest Galápagos Islands. 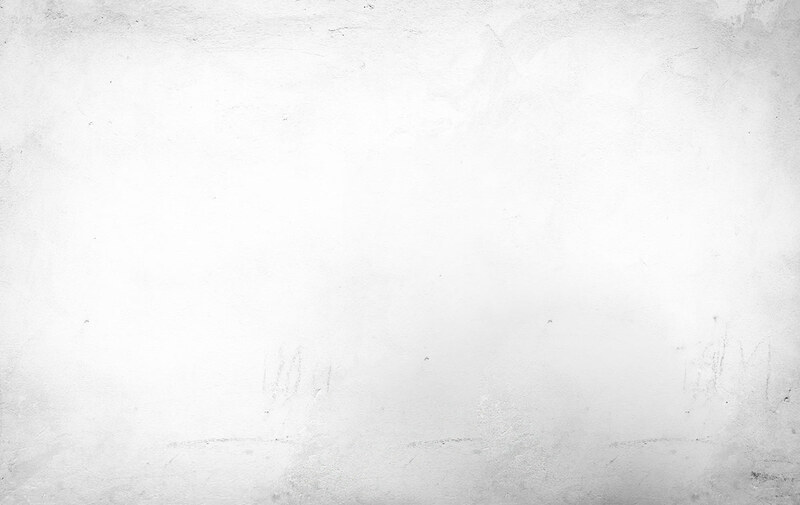 Geologists estimate that is was formed over four million years ago as a shield volcano. With the help of low-viscosity lava, Española moved away from the hotspot and became dormant. 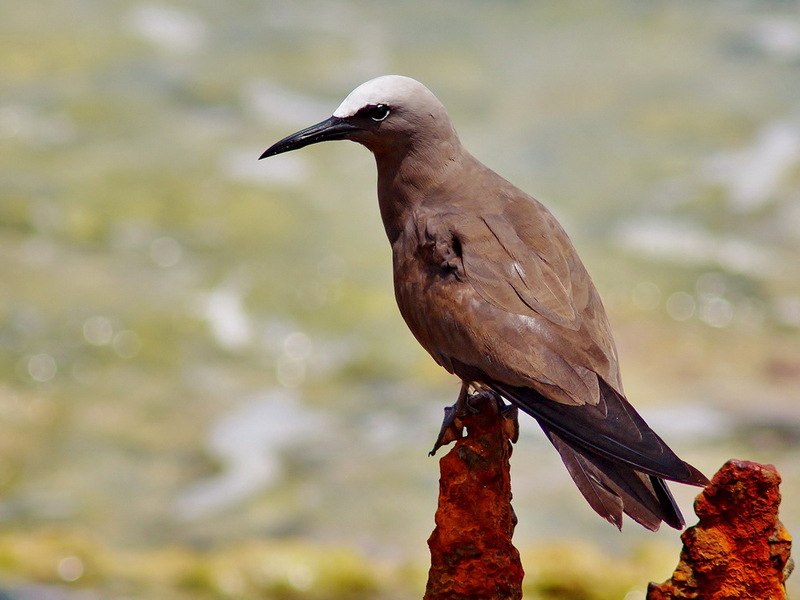 Key endemics on the island include Espanola Mockingbird, Espanola Lava Lizard, and a breeding island for the highly-prized Waved Albatross. Upon arrival at its western tip, Punta Suarez, you will immediately notice the fiery-colored Española Marine Iguanas and the tame Galápagos Sea Lions which leisurely wander around you. We will follow a trail that leads to Punta Suarez, an endless cliff face shaped by strong wave action and winds and dotted with Blue-footed Boobies and Sally Lightfoot Crabs. 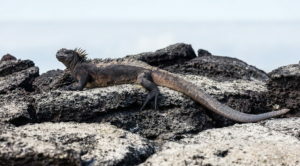 Española Lava Lizard in their bright attire line the coastline. 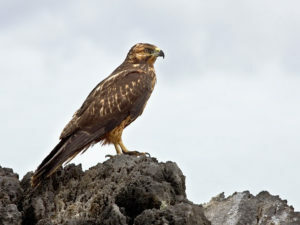 As we make our way through saltbrush we need to keep a lookout for Galapagos Hawk and Espanola Mockingbird. 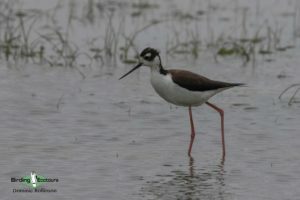 As the trail continues we come across large cliff-nesting colonies of Blue-footed and Nazca Boobies, Swallow-tailed Gulls, and Red-billed Tropicbirds. 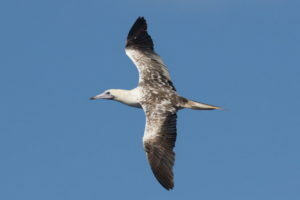 The trail then leads inland to the rookery of Waved Albatross, overlooking the ocean to the south. Galapagos Shearwater, Elliot´s Storm Petrel, and Espanola Mockingbird can often be seen from here as well as Espanola Cactus Finch and Grey Warbler­‐Finch. Depending on weather conditions, either late in the morning or early in the afternoon, we will snorkel or kayak around Gardner Bay. Its calm waters and attractive landscape give you a great experience above and below the water. Along the picturesque white sand beaches you are likely to encounter sea lions and the curious Espanola Mockingbird as well as Espanola Cactus Finch. 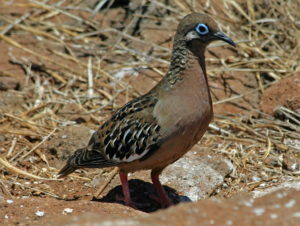 A little behind the beach in the scrub brush we will look for Grey Warbler-Finch, Galapagos Dove, and Galapagos Hawk. In the late afternoon we will again board the Samba for the night. San Cristóbal was the first island for Charles Darwin to set foot on in the Galápagos, as it was home to the islands’ governor. The presence of freshwater at El Junco Lake in the highlands was the reason for the governor to set up residence here. San Cristóbal also became a penal colony for mainland Ecuador in the 1880s, and later these inmates were used as slaves for newly-established sugarcane plantations and sugar factories. 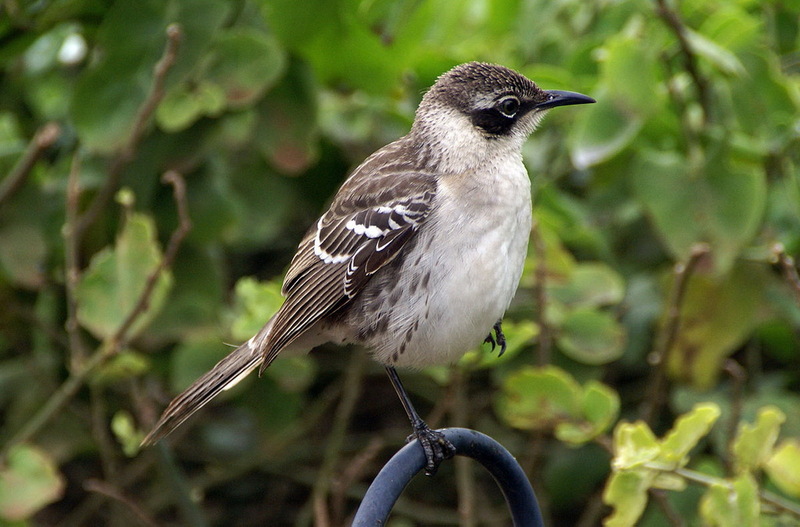 Today we will have the chance to see one new endemic bird, San Cristobal Mockingbird. Before breakfast we will explore Kicker Rock, a large protruding volcanic feature. This eroded tuff cone has vertical walls of over 450 feet (137 meters) and has large numbers of seabirds nesting and resting on it, including Magnificent Frigatebird, Swallow-tailed Gull, Red-billed Tropicbird, Red-footed Booby, Nazca Booby, Brown Noddy, and Elliot´s Storm Petrel. We will circumnavigate the rock to fully appreciate its size. Snorkeling here is an option and can be spectacular, with Galapagos Sharks, sea turtles, and eagle rays swimming around the colorful drop-off, which is also full of tropical fish and invertebrates. After three hours of navigating we will arrive at the Punta Pitt peninsula. Its mind-blowing landscape and its protected cove offer a great chance to kayak, for those interested. 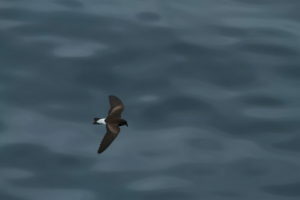 We should be able to get very close to a large mixed colony of nesting seabirds on a nearby islet. Breeding seabirds here include Swallow-tailed Gull, Lava Gull, Great and Magnificent Frigatebirds, Nazca and Red-footed Boobies, Elliot´s Storm Petrel, and Galapagos Shearwater, while American Yellow Warblers can be seen in the nearby scrub. The golden sand and Galápagos Sea Lions give us a welcome for our wet landing in the afternoon to explore the area for San Cristobal Mockingbird. This point is the closest landmass to South America. In the late afternoon we will make our way to board the Samba for dinner and overnight accommodation. Rock formations on Santa Fe Island date back to 3.9 million years ago. Lava Heron enjoys hunting in these waters. Before whalers and pirates arrived, the dense forests of the giant Opuntia cacti were once home to the Santa Fe Tortoise. There are currently two extant endemics on this island, Santa Fe Land Iguana and Santa Fe Rice Rat, a subspecies of the Galapagos Rice Rat. The nearby Barrington Bay is a breathtaking inlet, with the white sand on the seabed reflecting the sunlight, turning the calm waters turquoise. There is another large sea lion colony here. A trail takes you into the large Opuntia cactus forest, where you can often spot Santa Fe Land Iguana and Galapagos Hawk. While enjoying our lunch we will navigate south to South Plaza Island off the east coast of Santa Cruz. The dry landing takes you to a brilliant combination of life and colors. Sesuvium succulents, which change from bright green in the rainy season to red, orange, and then purple during the dry season, are gorgeous. Santa Fe Land Iguanas wander through bright, red-carpet weeds. Overhead Swallow-tailed Gulls nest in the overhanging rock formations, along with Red-billed Tropicbirds. This is one of the best spots in the archipelago to see land iguanas; their nests are scattered all over the hills. In the late afternoon we will make our way back to the Samba. This morning we will make a wet landing on a small islet 200 meters off the coast of Santiago Island, Chinese Hat, named for its uncanny resemblance to a Chinese wide, cone-shaped hat. 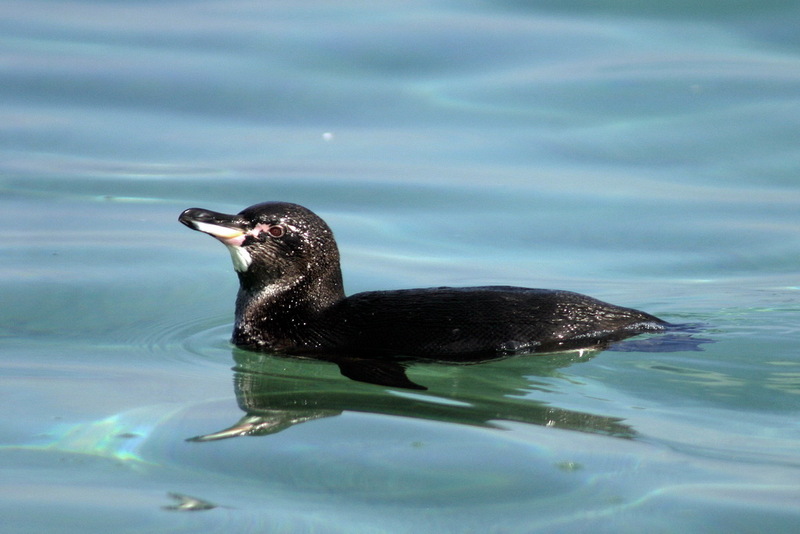 The snorkeling in the small turquoise channel is very active with sharks, sea lions, Galapagos Penguins, and rays. In the afternoon we will land on the north beach of Bartolomé Island. Here there is a small breeding colony of Galapagos Penguins along the golden beaches, which are also shared by Galápagos Sea Lions and Green Turtles. The impressive volcanic cone in the background, Pinnacle Rock, was created when expelled magma from an underwater volcano cooled and then exploded. This large rock was formed from thin basalt layers. Spotted Eagle Rays and Black-tipped and White-tipped Sharks can be seen from the beach. This morning we will circumnavigate the geological formation of Punta Vicente Roca, on the north shore of Isabela Island, with our zodiacs. 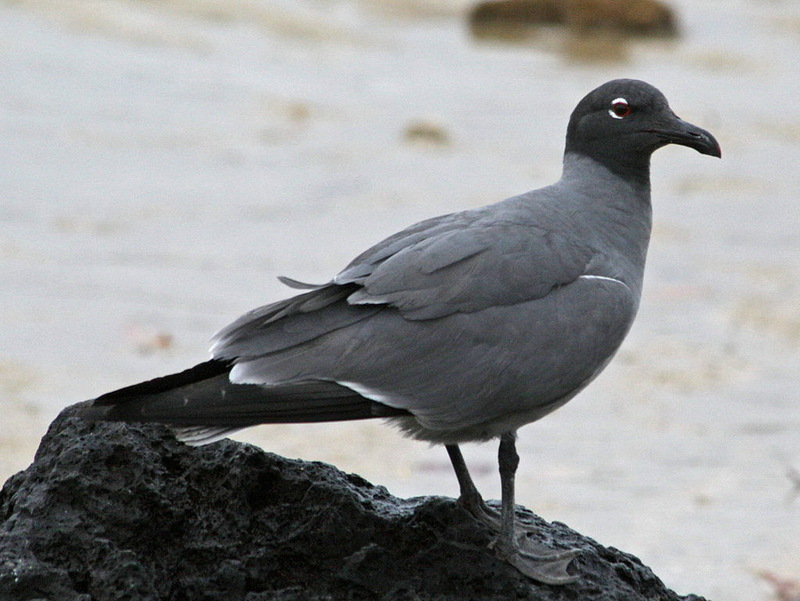 Besides the nesting Blue-footed and Nazca Boobies gulls, storm petrels, Brown Noddy, and Flightless Cormorant may be found here too. 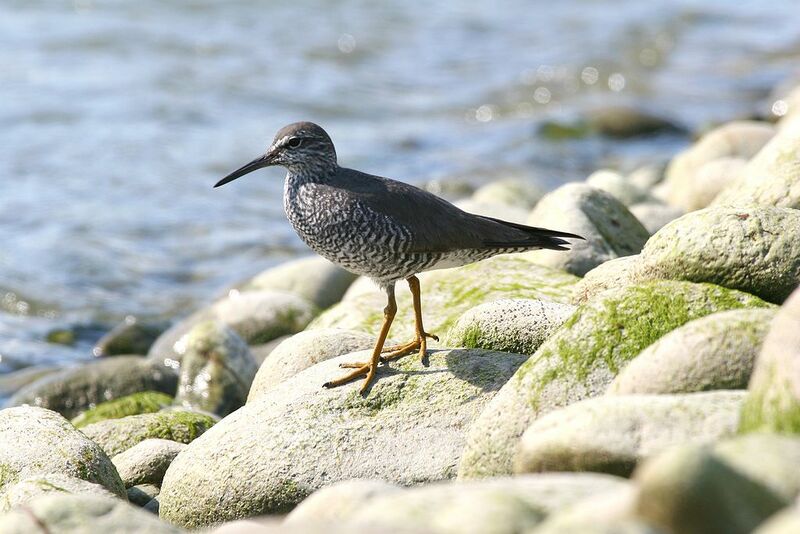 The cold waters coming in from the Cromwell Current provide abundant feeding opportunities for seabirds, whales, dolphins, and sea lions. There is a small colony of Galápagos Fur Seals here as well. 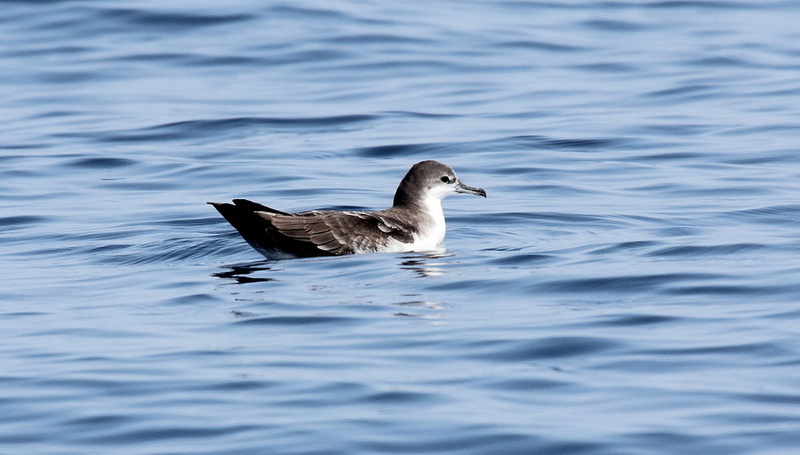 The afternoon will be spent looking for pelagic birds such as Galapagos Petrel and Waved Albatross as we navigate toward North Seymour. A visit to North Seymour Island is the best way of saying goodbye to the Galápagos Islands. After a dry landing at sunrise we will walk among the largest Blue-footed Booby colony in the Galápagos. 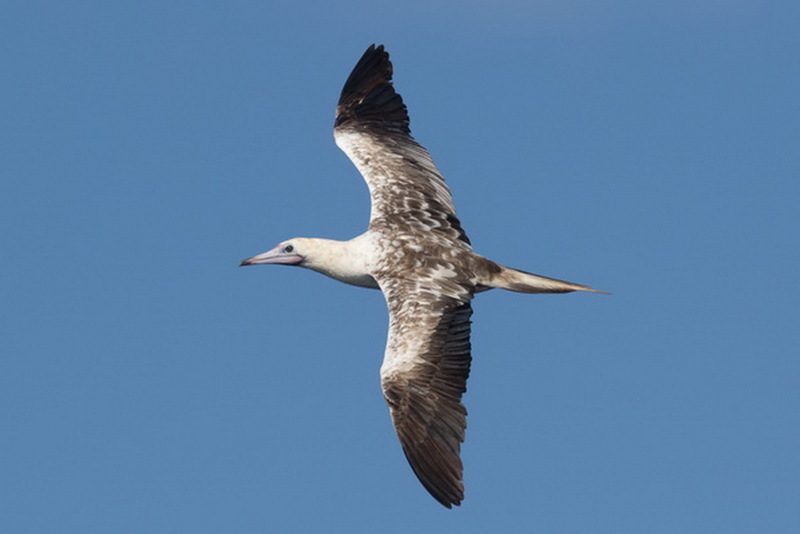 Swallow-tailed Gulls and tropicbirds decorate the large basaltic walls of the island. Then we will make our way back to the Samba for our final breakfast. After navigating back to Santa Cruz Island we will say goodbye to the Samba and its crew and make our way back to the airport for our afternoon flight back to Quito. From Quito airport we will then transfer to our overnight accommodation in Quito. You will be transferred to Mariscal Sucre International Airport for your flights home.